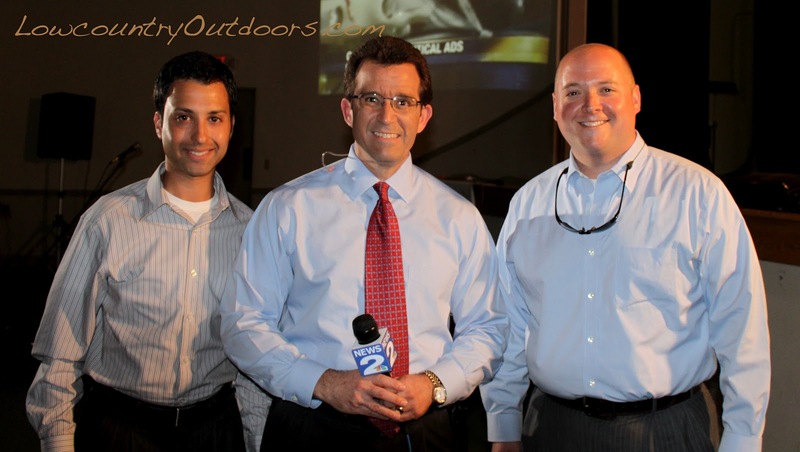 The very first stop on the 2012 Weather 101 tour was in the heart of Walterboro, at the Colleton Center located on Hampton Street. The timing of their visit could not have been better for natural beauty as the dogwoods, azaleas, wisteria and more are already in full bloom! Colletonians were greeted warmly at the door by Channel Two intern Gwyneth Locascio, and given weather info handouts, and free door prize rafle tickets for weather radios. 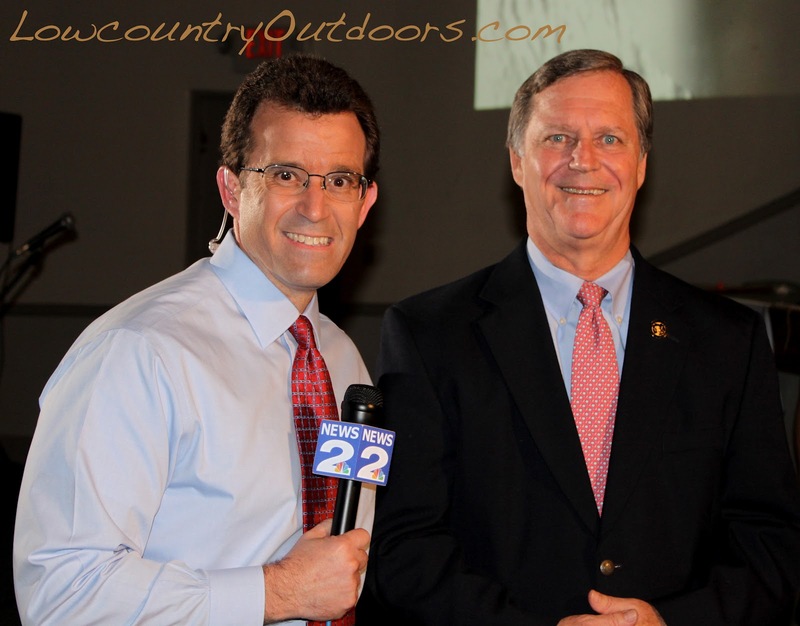 Chief meteorologist Rob Fowler did live weather from Walterboro for the 5 and 6 p.m. news casts while news director Scott Flanigan looked on. The 6:30 Weather 101 program began with morning meteorologist Josh Marthers talking about severe weather and his 'pet peeve' which is lightening awareness. Marthers knows that Colletonians are hunters, anglers, farmers, and wildlife watchers and he stressed that lightening safety is important for everyone during unsettled weather and that lightening can strike up to 10 miles away from an approaching storm. Marthers said that with the onset of warm weather (about 15 degrees above normal and 1.5-months ahead of schedule) that we will continue to see an increased chance of thunderstorms. 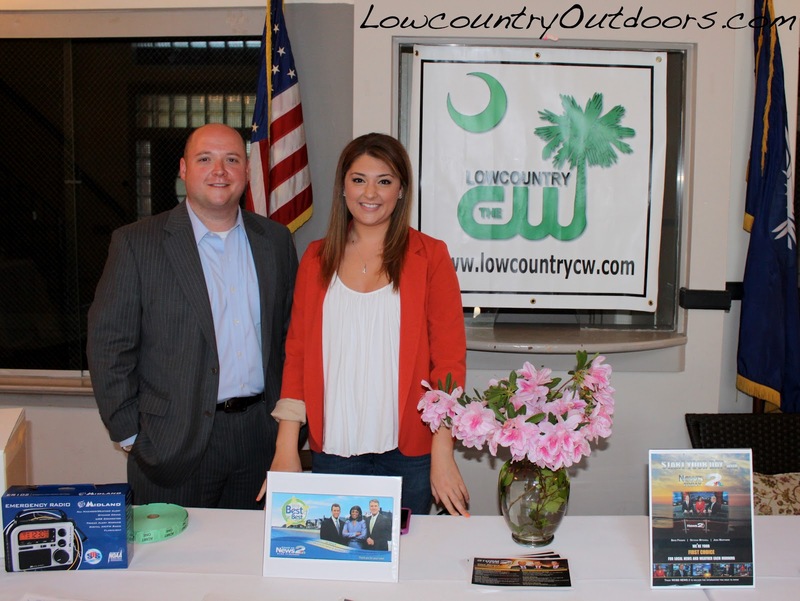 Next up on the Weather 101 lineup was weekend weatherman Kyle Dennis who let attendees know about tornados, and of course he went into great detail about the 2012 Islandton tornado in Colleton County. Special guest Ron Morales from the National Weather Service was on hand to inform everyone about how a tornado watch differs from a tornado warning, and the progression of protocols involved in their forecasting process. Anchorman Rob Fowler then gave a fine overview of the 2011 hurricane season and explained how the 2012 season is shaping up to be active, but maybe not quite as active as last year. My own Colleton County climatological synopsis is that despite very dry conditions through mid-February, the spring rains (some of them significant) have broken the drought cycle and the landscape has put forth a healthy spring green up. For past blog entries about weather click here.